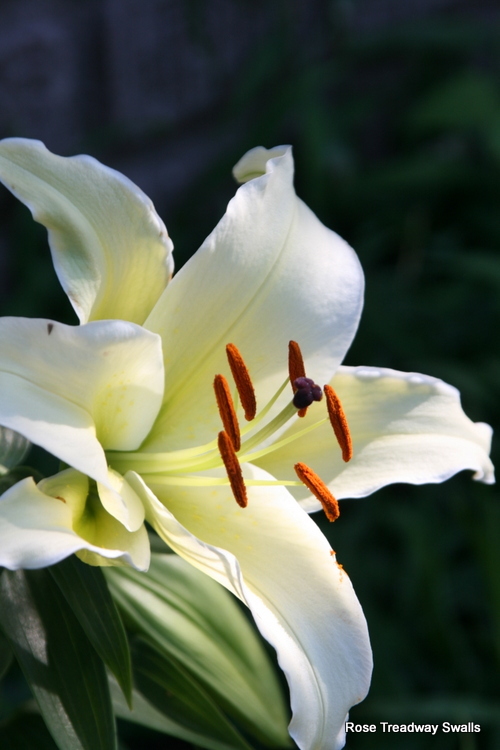 Thought I would show just a couple more flowers...an Asiatic lily above. I don't know the name of it...an a daylily below. Again, I don't remember the name. I do not why, but the names of the different colors of flowers just do not stick in my mind. Even if it is a name I love. This day lily came from some place like Walmart or Menards....but I want to go to Windy Ridge Farm before this year is out. It is not over 10 miles from us, and we have never stopped. I do not know why. I think because there would be so many I would want. Anyway, I have made up my mind to stop, if for nothing else than to take photos. I have been sewing a bit the past few days...I am making a backing for the 4-patch shown in This Post....I thought maybe I could get the backing made and get the layers pin-basted....and start quilting on it. It might inspire me to think of how I want to quilt Roger's quilt. It is pin-basted and just waiting on my decision. The backing I am making is not just an ordinary backing...it is nothing fancy but I am doing more than just a plain piece for fabric. It is nothing planned...just throwing some fabrics together. Probably when it is done I will wish I had planned it. I have such a hard time in being spontaneous with things. Anyway, hoping to finish the backing tomorrow...have an errand or two to run so will be lucky to finish it. I have to hunt more fabric...hoping I have some more of the ones I have already used but if not, it is no big deal. Your photos of these lilies are just beautiful!! I'm sure the backing of the quilt will turn out well. You have such a great eye for fabric colours, I think. Both flower shots are beautifully done. Excellent focus with detail and great looking color. I too don't (or can't) remember the names of the few plants I have out front. Those flowers are so elegant looking! Beautiful! I need to buy a sewing machine. My old one got given away. I would really like to start sewing again. Beautiful shots of the flowers! I love your beautiful flowers. You don't have to know the name to realize how pretty they are. 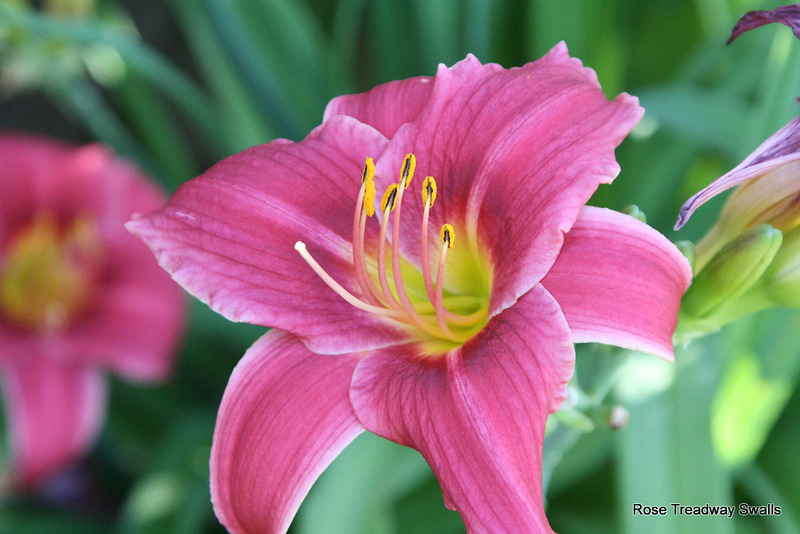 Love your lily and daylily, Rose... It doesn't matter what their names are ---it's the beauty that counts. We have a Daylily Farm near Knoxville (Oakes) --which we have ordered some of the daylilies from... They are having a festival on June 29-30... We "MAY" go --but like you, I'm afraid I'd want all of them --and we have no more room in our yard!!!!!! Oh Well..
Love your flower photos! Hope you show a photo when your quilt is finished. Good luck fabric hunting!